Collecting issues #1 - #6 of the hit new series by Cullen Bunn and Brian Hurtt! During the darkest days of the Civil War, wicked cutthroats came into possession of six pistols of otherworldly power. 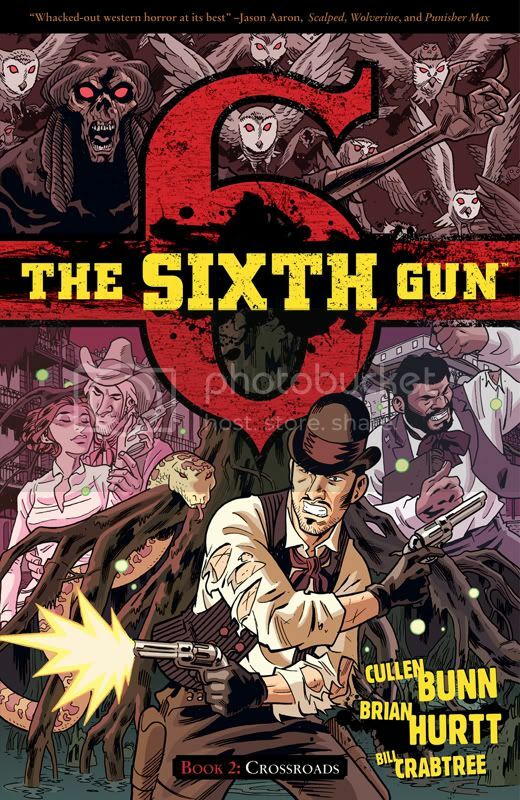 In time, the Sixth Gun. the most dangerous of the weapons, vanished. When the gun surfaces in the hands of an innocent girl, dark forces reawaken. Vile men thought long dead set their sights on retrieving the gun and killing the girl. Only Drake Sinclair, a gunfighter with a shadowy past, stands in their way. Collecting issues #7 - #11 of the hit new series by Cullen Bunn and Brian Hurtt! General Hume has been defeated and the six mystical guns are now in the possession of our heroes. But Hume is too evil to stay dead for long, and the power of the guns come at a terrible price. In the haunted bayous around New Orleans, Drake, Becky, and Gord hunt for a way to rid themselves of the cursed weapons while evil forces conspire all around them. 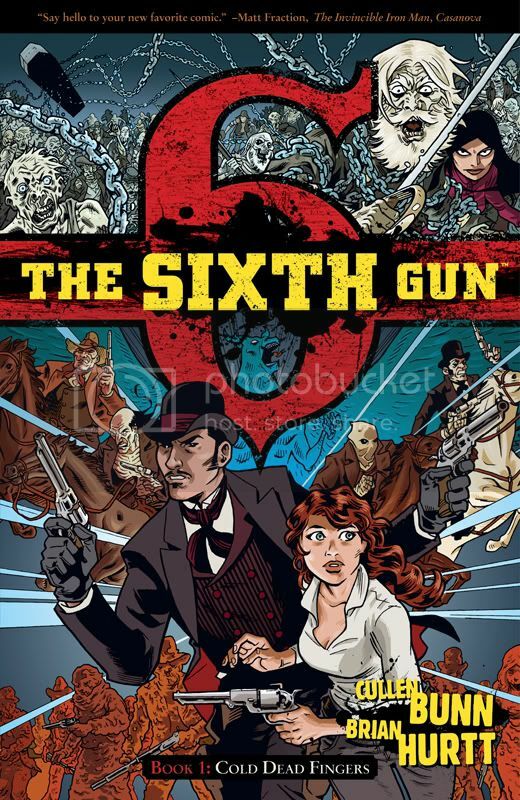 If you like weird western graphic novels then I suggest you check out this one. Very well done and illustrations was well done as well. When I was asked to read and review this one I thought I would not like it at all since it is not the kind of graphic novels I would usually read but boy was I wrong!! This is now one of my favourite graphic novel series and I will be looking for volume 3 when it is out on April 25th. . Unfortunately I did not see any of these in stores out here so I will be purchasing it through Oni Press website. I give this series 5 out of 5.